“Frank” (who anonymously shared his story with us) has always been an avid reader, but the progression of his neuromuscular disease to his arms made reading difficult. Eventually he had to ask others to turn pages for him. It became a burden to his family and caregivers to constantly drop what they were doing to turn a page, so he began seeking out ebooks. Few were available, and he had trouble with the ones that were: they’d often be in a format that didn’t work well with his voice recognition software. Frank’s story exemplifies the life-changing power of access to information and reading. It also demonstrates how each ebook that is added to the Bookshare collection is a brick in our members’ foundation of independence and inclusion. That’s why a group of Benetech supporters recently came together to give the gift of reading in honor of our long-time board member Jim Kleckner. Jim recently lost his father, retired ophthalmologist James Franklin Kleckner. Cosmic Apprentice: Dispatches from the Edge of Science, by Dorion Sagan. The Power of Place: Geography, Destiny and Globalization's Rough Landscape, by Harm De Blij. It was a rewarding project that took us to many wonderful recommendation sources. I’d like to extend thanks to Jim Kleckner for everything he has done for Benetech over the years; to our generous donors, who have made this collection in honor of Jim’s late father possible; and to Carol James, our Digital Collection Development Manager, and the entire Collection Development team for their great work ensuring the donated books are processed and now creating more of the “read now” experience for our Bookshare members. They are the one who understand best what it means to have any one of these books available to them on the library’s virtual shelves, anytime, anywhere. Today the majority of Bookshare’s ebooks come straight in the form of digital files from our socially minded publisher partners, but each year we expand the library by scanning and proofreading thousands of titles not made digitally available to us, as well as books of personal interest requested by our members. Without this service, Bookshare would not be the resource it is today. To continue this work, we depend on the support of generous donors. With a gift of just $50, we can add a new ebook to the Bookshare collection, making that book available to hundreds of thousands of Bookshare members with disabilities. 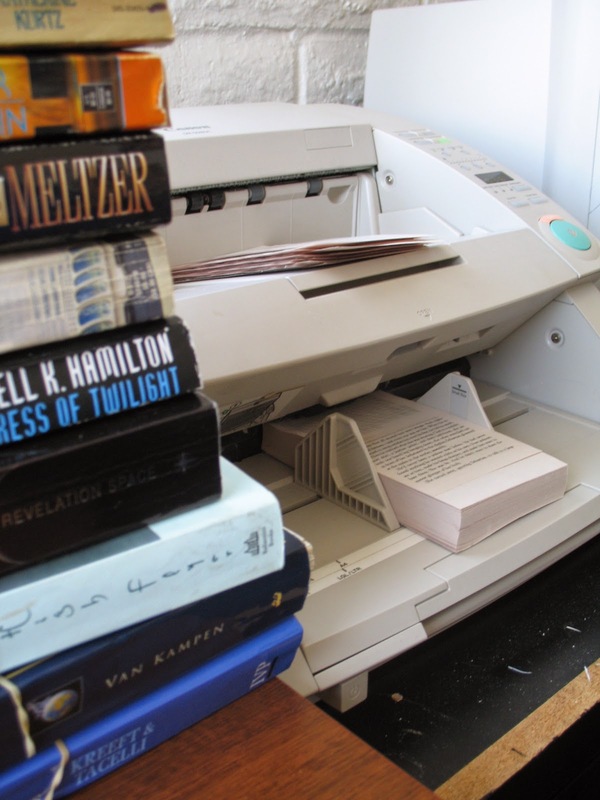 As a nonprofit, Benetech builds the impact of our programs and initiatives dollar-by-dollar, which is why a gift of any amount will make a difference towards ensuring that people with print disabilities have the books they need for their education, employment, and inclusion in society. You can now give the gift of reading by joining Benetech’s fundraiser campaign as part of the Skoll Foundation’s second annual Skoll Social Entrepreneurs Challenge—a fundraising campaign committed to strengthening the capacity of organizations like ours to accelerate impact on some of the most critical issues of our time. To help now, please visit Benetech’s Challenge campaign and give whatever you can. 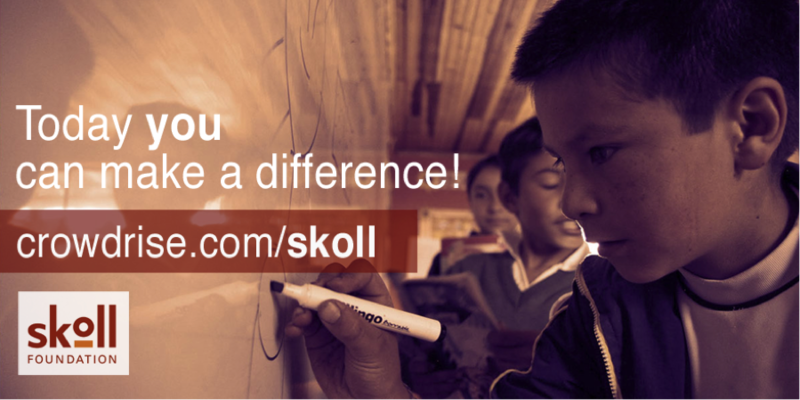 With the Skoll Foundation’s support, your gift will have far more impact on our users around the world. This post originally appeared on the Benetech Blog.